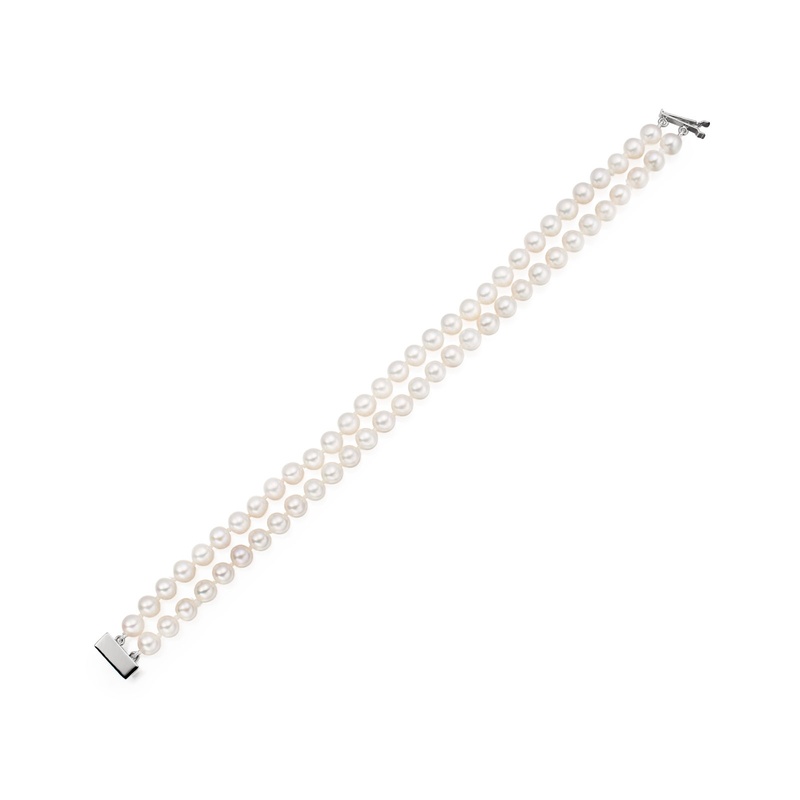 From the Classics collection, a double row bracelet of white Freshwater pearls, measuring 5-5.5mm in diameter, with an 18 carat white gold clasp. The pearl bracelet is made with cultured Freshwater pearls. We select our pearls for their high quality and choose pearls that have an excellent shine and lustre. The bracelet is made with 5-5.5mm diameter pearls and is strung by hand, with knots between each pearl for safety. With this size of pearl, the bracelet length of approximately 18cm will fit most wrist sizes. To order a longer bracelet length, please contact us for further assistance. The bracelet is finished with an 18 carat white gold clasp and can be easily matched with a pair of Freshwater pearl earrings or a white pearl necklace.